Security systems can be an important line of defence for any home or office. And with so many ways of getting a security system for yourself, it might seem only natural that you want to do the whole job yourself, both the purchase of the equipment and the installation. However, although the appeal of setting up your own security system might seem alluring, there are many benefits that come with a professional installation. Here are some of the benefits that can only come with services such as professional intercom installation. Although you might have an idea of where you want to position your security devices, the positions that you decide on may not always be the best positions for defending your home or business. Although you might merely need a second opinion from someone else, it’s best for that second opinion to be a professional one. Across Sydney, there are many professional security system installers who are ready to work with you and understand your home or business, so that they can develop a high-quality security system that’s tailored to your needs. This is especially true with professional CCTV installation, where the positioning of the CCTV cameras is vital for the effectiveness of the security system. Although some of the security devices that you’ll have might be some of the hardiest security devices on the market, that doesn’t mean that it doesn’t need some maintenance every now and again. If you decide to service any of your devices yourself, you may either miss crucial aspects of your devices that need repairing, or you may void the warranty of your devices. Many professional installers also offer warranties on all of their installations and repairs, giving you the peace of mind that you need for your security system. When installing your security devices yourself, you may miss vital aspects of the installation process, which will lead to the development of issues with your security devices later on. Utilising services such as professional intercom installation greatly reduces the probability of these errors occurring, which greatly improves the quality of the security for your home or business. 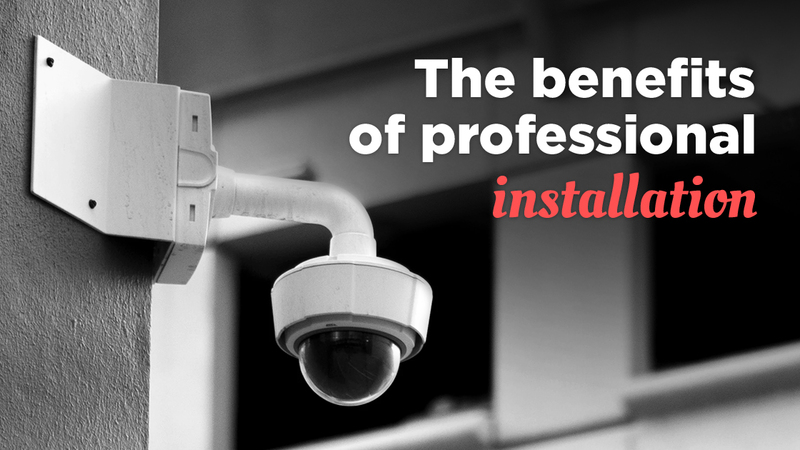 These are just a few of the benefits that come with professional security system installation. If you want the peace of mind that comes with a professional security system installation, talk to Red Handed Security, one of Sydney’s leading security system installers. Whether you’re looking for a home security system or a commercial security system, we’ll work with you to develop a custom-made security system tailored to your needs. If you’d like to learn more, give us a call on 1300 13 40 33.